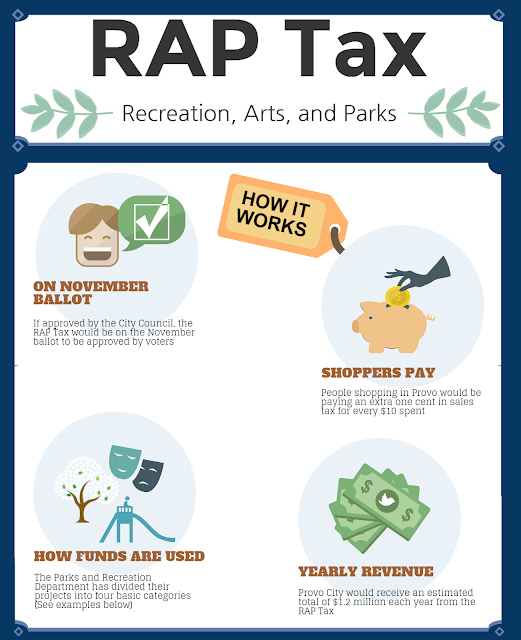 The City Council approved the tentative Provo City Budget without including the RAP Tax. 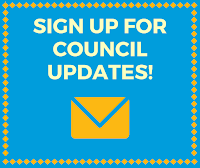 Council Members are still studying the options and will make a decision soon on whether or not to have the RAP Tax move forward and be placed on the November ballot. Discussions between the Council and the City Administration are continuing as they consider how the revenues would be spent. Projects pictured here are examples of the types of projects being considered. 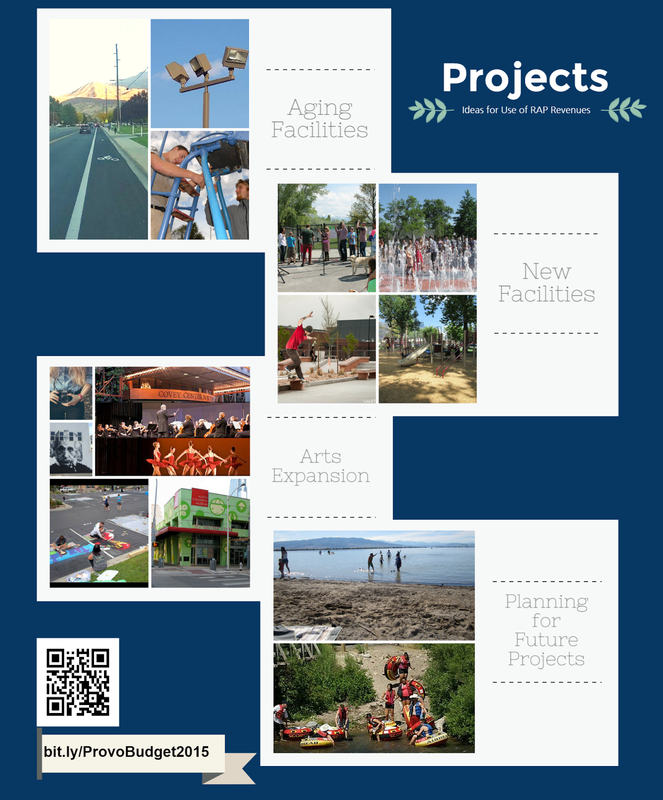 Let us know how you would prioritize these projects.